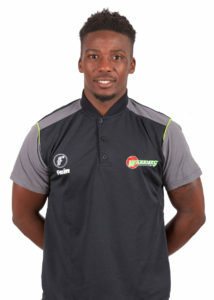 Ayabulela Gqamane’s cricket career started in King Williamstown when he was a part of Bakers Mini Cricket. This is when he fell in love with the game of cricket and grew his love for the game. His cricket role idols are Hershelle Gibbs, Sachin Tendulkar and Makhaya Ntini, playing alongside Ntini is a memory Aya says he will cherish forever. Aya is a right-arm fast-medium pace bowler, the King Williams Town born cricketer was born on the 30th of August in 1989 and has played for Border and the Warriors Cricket team. Aya is small in stature but makes up for it on the field with the energy he brings to the field. Off the field he loves eating mqusho and mpokoqo, while he loves to unwind by going to the beach, watching series at home or spending time with friends. way he goes about his duties. If he wasn’t a cricketer, Aya would either be a rugby player or hockey player but luckily, he made is first-class and list-A debut in 2010 and his T20 debut in 2011 which kept him in the sport of cricket.